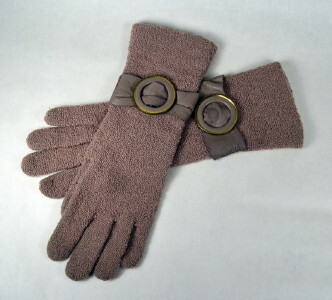 1920's vintage gloves with wristband. Taupe wool boucle and taupe lambskin. Above wrist gauntlet with buckled wristband. Brass & leather covered round buckle. Excellent and rare, all original twenties' vintage winter gloves. Length from hem to finger tip - 11 3/4"
Opening width - 3 3/4"
Very good condition. 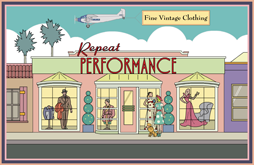 Shows some light general wear and neat & inconspicuous professional knit repairs.